Americarpet: What is the most expensive flooring in the world? Pietra Firma have recently launched the staggeringly expensive Luxtouch range. Targeted at the world’s wealthiest individuals, the range includes floor, wall and ceiling tiles that are hand crafted using traditional skills. 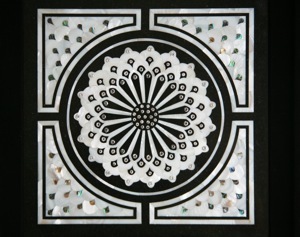 Each square metre of marble tile is inlaid with over 1000 diamonds, 2400 pieces of mother-of-pearl, 400 pieces of abalone shell and 500 pieces of black onyx. LuxTouch sells for $1,000,000 /m2.